Malaysia is a land of diverse landscapes, ethnic groups and food culture and is truly a miniature Asia. While the country has a rich food history of its own, Chinese, Indian, Thai, Singaporean and Indonesian influences are visible in its gastronomy. 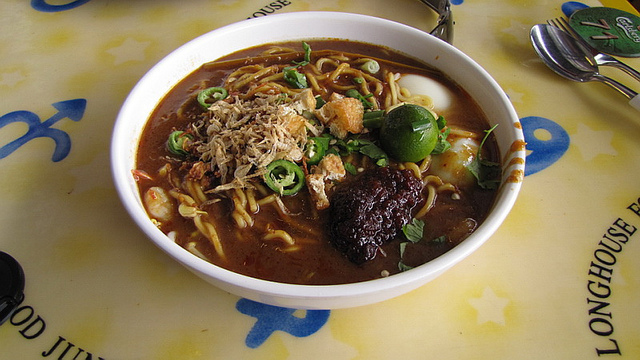 Malaysia is a popular foodie destination. 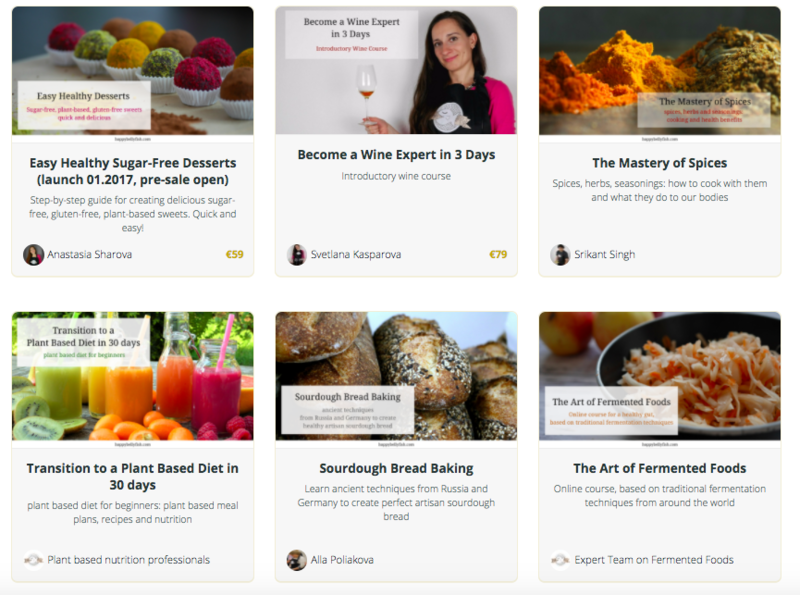 People from different cultures have brought their regional recipes and food traditions to this country, enriching its culinary scene. 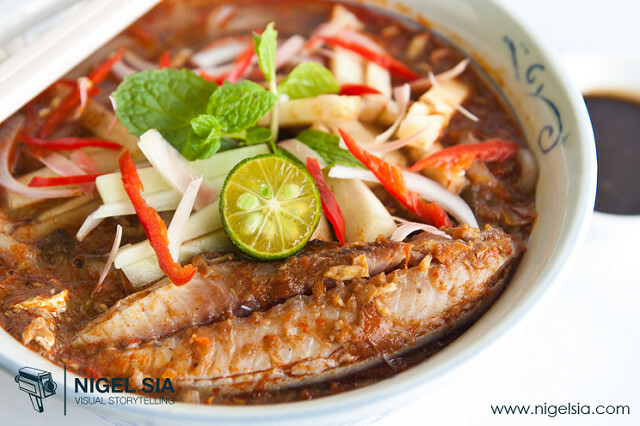 As a result, Malay cuisine has acquired a distinctive flavour that is best experienced in person. Like most of their Asian cousins, Malaysians find unique ways to create delectable and mouth-watering rice and noodle based dishes. Meat, seafood and vegetables are given prominent roles in most recipes. Sauces and spices work their magic on unsuspecting travellers and leave them dewy-eyed and totally in love with the food. The best part about this cuisine – food served on the streets is similar to what a Malay citizen cooks at home. The average traveller can enjoy his/her open-air meal without worrying about missing out on foods found in other hawker stalls or hawker centres. Malaysian street or fast foods are essentially the same at most stalls with possible ingredient variations. This guide introduces you to popular rice noodles (mee) dishes in Malaysia made with flat noodles (koay teow), rice vermicelli (bee hoon), yellow noodles (chow mein), thick noodles (laksa mee), handmade noodles (pan mee) and thin yellow noodles (hakka mee). Whether you prefer to slurp or chew these carb-licious foods, prepare yourself for some taste nirvana. 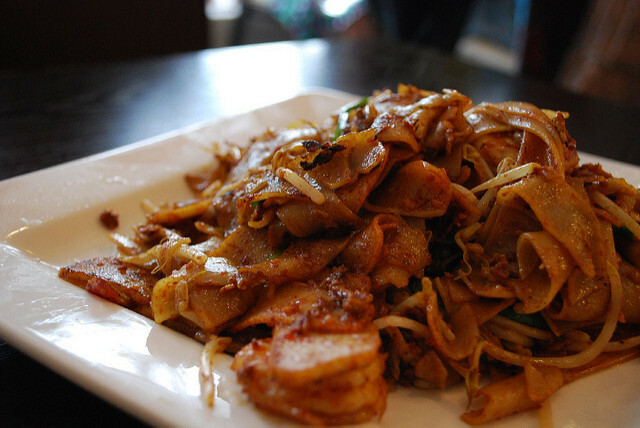 Flat and delicate rice noodles are stir-fried in small batches in woks on an open charcoal flame. Mee is accompanied by prawns or cockles, chilli, bean sprouts, and coated with dark soy sauce. Optional ingredient toppings like eggs, shrimp paste and chives add to the smoky taste of this dish. The salty, spicy and chewy noodles are traditionally cooked in pork lard, and some street vendors continue to use this fat. The delectable flavour of this hakka-style noodle dish comes from eggs and chilli sauce. The eggs are half poached with a runny texture and the sauce is made with dry chilli flakes. 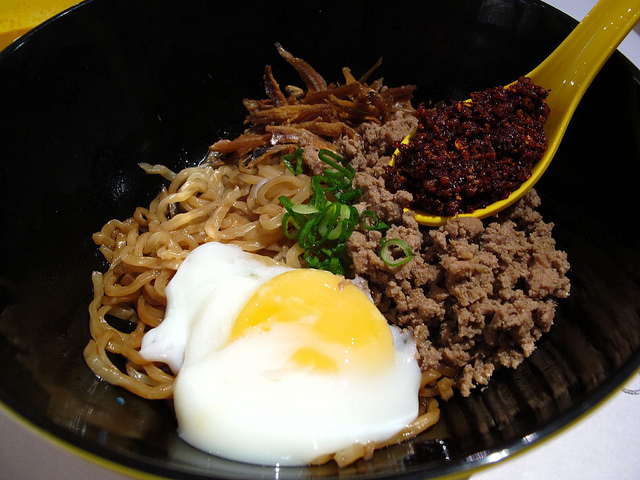 Cooked noodles are topped with eggs, sauce, fried garlic, minced pork and some chopped green onion for a crunchy bite. This noodle dish is not for someone with sensitive stomach. This is a popular home-cooked dish that contains square-cut rice noodle sheets. The rich egg drop gravy is deceptively simple to make. Rice noodle sheets and vermicelli are stir-fried in dark soy sauce. Top it with some gravy to enjoy this delicious comfort food. Carb food lovers will enjoy this stir-fry combo of potatoes and yellow noodles with a slightly pungent and citric tang. I is cooked with tomatoes, fried shallots and garlic, chilli, ginger, fresh lime juice and topped with lettuce. Food vendors have their secret ingredients that go into the dish. You’ll find beef, chicken, shrimps, eggs, bean sprouts, other vegetables and soy in variations of this dish. 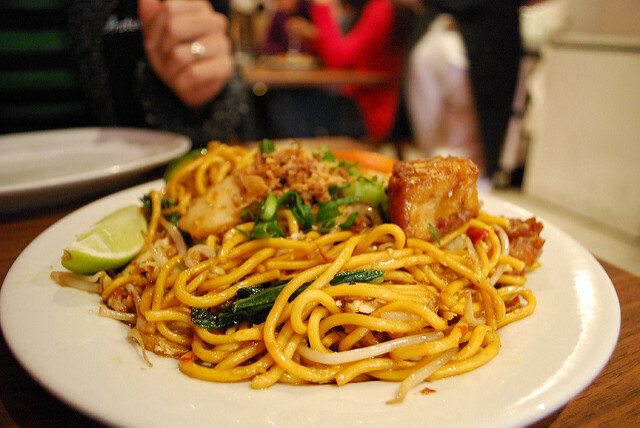 A popular afternoon snack made with yellow egg noodles and usually sold by Muslim vendors of Indian origin. In Malay version of this Indonesian dish, mee is drenched in a special sauce made with tomato, soybeans, peanuts and sweet potato. These are cooked with fried tempah which usually has a chilli base. Toppings for this sweet-spicy dish include bean sprouts, calamari, lime and all things fried – tofu, egg, spring onions and shallots. Dreaming of a creamy, tarty and spiced broth with thick mee? Then Malaysian Laksa, an intricate dish with coconut milk base, is a must-try food. Soup gets its deep and harmonious taste from its Laksa paste made with lemongrass, galangal, shallots, tamarind, spices, and dried shrimp. This noodle soup has many variations but they fit into two categories: curry laksa and asam laksa. 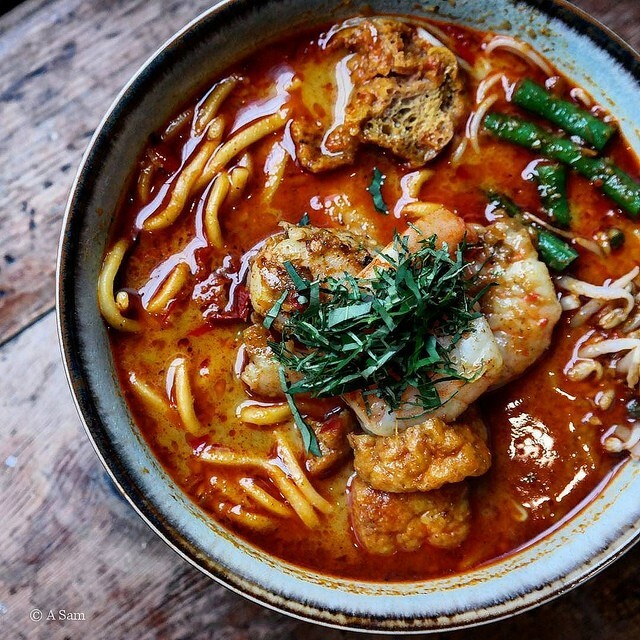 Asam laksa is Thai-inspired layered soup dish with noodles at the bottom and topped with cooked white fish or fish balls, pineapple and cucumber. Torch ginger flowers are added as garnish. Other toppings include crispy shallots, tofu balls, cilantro and mint leaves, and lime wedges. This yellow noodle (chow mein) and rice noodle/ rice vermicelli (bee hoon) soup has Malay and Indian flavours. The soup gets its sharpness and heat from an Indian curry base and citrus-creamy flavours from coconut milk and mint leaves. Foods that go into dish include prawns, shrimp, dried fish, bird’s eye chillies and chicken pieces. In white curry mee, salty cockles (clams), blood cakes and fried tofu are doused in coconut milk broth. 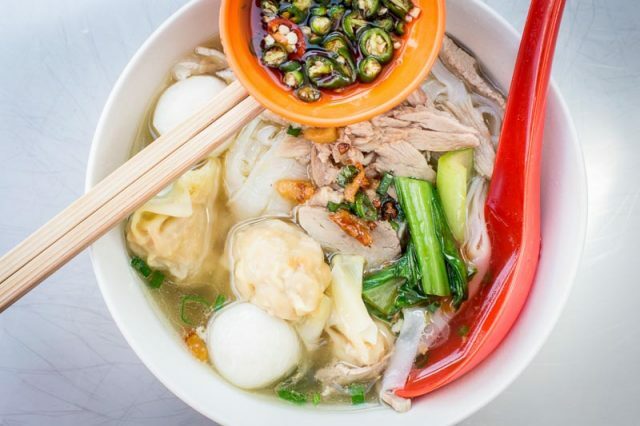 If you’re in the mood for sweet tasting noodle soup, try this Malaysian dish made with thin rice and egg noodles and cooked in pork-bone broth. The cooked mee is topped with fish balls, minced pork, whole egg with yolk, fried garlic and scallions. Other options include fish balls and chicken shreds. This noodle dish is available in both soup and dry versions and uses rice noodles and yellow egg noodles. In Penang style soup, noodles are cooked in meat-based broth and crowned with shrimp, pork, bean sprouts, egg, water spinach (kang kong) and fried shallots. Chilli paste spices up things and pork lard gives it a greasy touch. 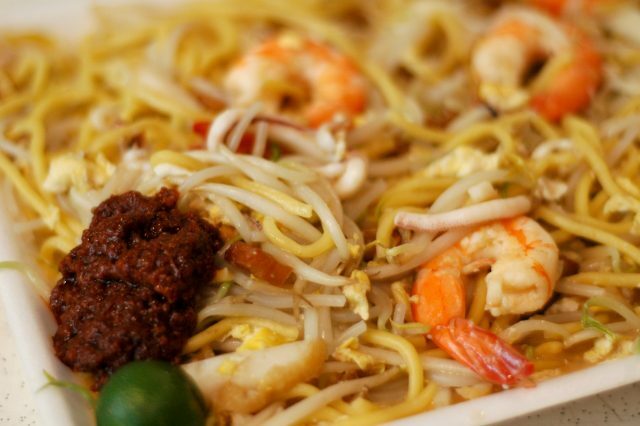 Kuala Lumpur style Hokkien mee is a dry dish with pork, prawns, shrimp, fish-cake, squid, and cabbage braised in soy sauce. Fried pork cubes serve as garnish. 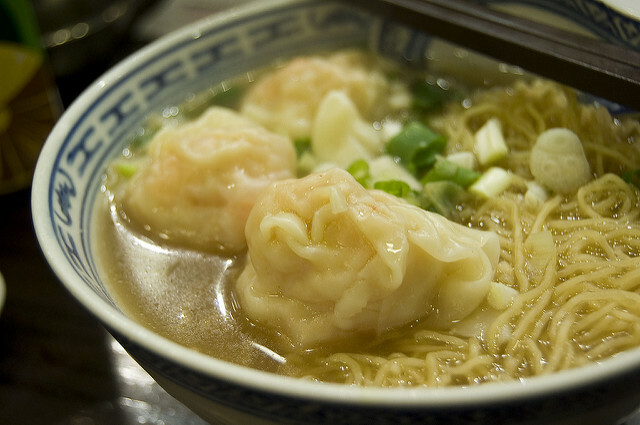 The noodle soup is a Malaysian adaption of Cantonese wonton noodles dishes. 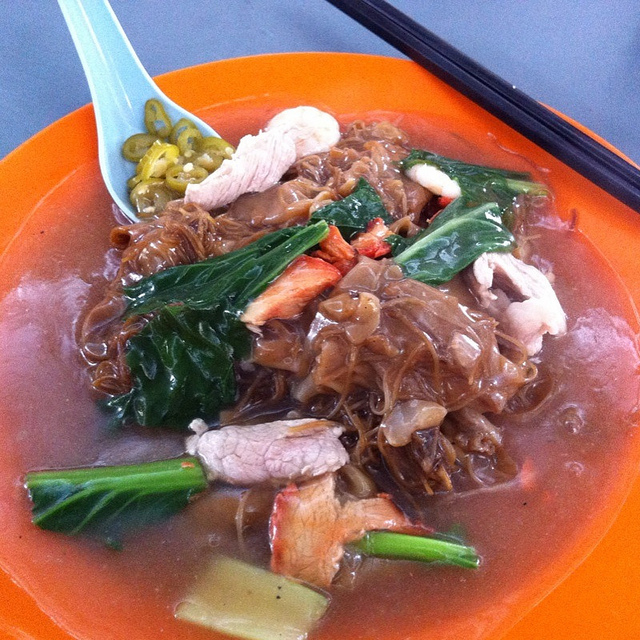 Won Tan noodles are cooked in a meat broth along with black sauce, pork and bok choy. Cooked noodles are tossed in pork lard and soy sauce, topped with roast pork, choy in the dry version. This is served with pickled chillies and wontons floating in a meat-based broth. 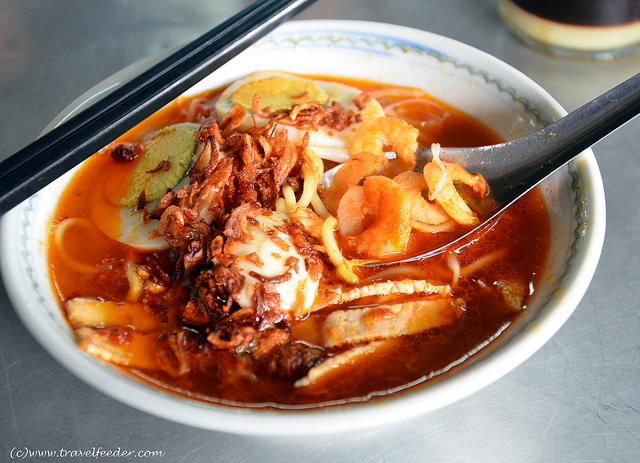 What is the best noodle dish you’ve had in Malaysia? Do you prefer dry or soupy versions? Have we missed out any rice noodle dishes that are popular in the country? Comment and let us know.